Best Dog Bed For Chewers - One He Can't Get His Teeth Into! 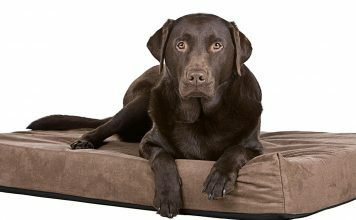 The best dog bed for chewers provides a comfortable place to sleep, without a risk of total destruction every time you go to bed. The best beds achieve this by being too hard to gnaw, or too tricky to get his teeth into. If your dog destroys her bed every chance she gets, it can be seriously disheartening. Not to mention expensive and messy. 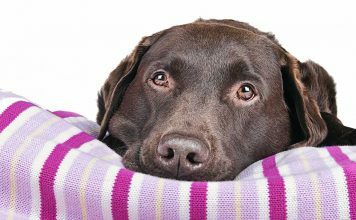 We’ve taken a look at the top chew proof, chew resistant and apparently indestructible dog beds on the market right now. Helping you to make the right choice for your mouthy pup. When you are looking for the best dog bed for chewers, there are a lot of choices. We’ll take a look at them, and plenty of other options too, in the article below. Because, dogs that chew need beds that can handle their destructive tendencies. You may have to pay a bit more, but the dog bed you’ll get will stay intact. Saving you dollars in the long run. Find the right bed, and your pet will quickly learn there’s no point in attacking this one. If an indestructible, chew proof bed is what you’ve need, you’re in the right place. We started the shopping for you, so you can find something that works for you and your furry best friend. So let’s begin by looking at how to make your best dog bed for chewers decision. 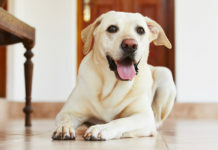 If your dogs are chewing and destroying furniture, it may be because they are anxious, bored, or need exercise. They may also be nesting, or experiencing nervousness because of issues of separation or the stimuli attached to a new environment. 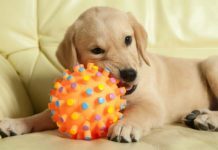 Puppies may chew dog beds because they are teething, or because they are young and still learning to navigate the world around them. But some dogs just love to chew. 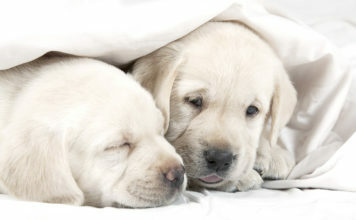 As part of puppy-proofing your house, you may wish to purchase a dog bed that is resistant to chewing. 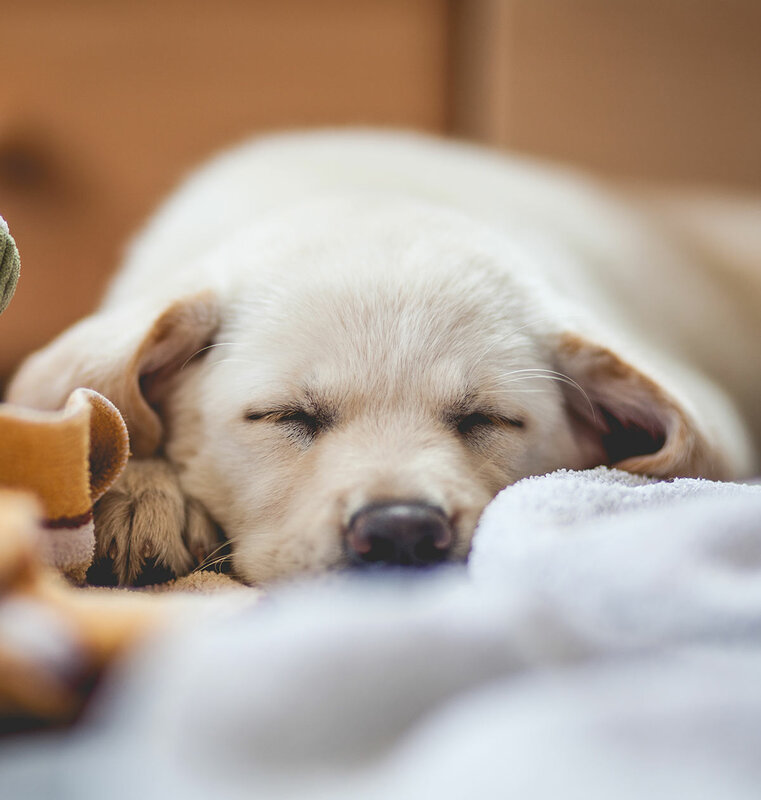 Suspended beds, good quality heavy-duty beds, and beds made from certain chew-resistant materials can also help curb this bad habit in your dogs. That’s because they’ve got a super-tough cover, or they’re made out of materials dogs don’t like to put their teeth on. Or they’re shaped in such a way that chewing is awkward. Maybe they don’t have easy to chew exposed zippers, corners, or seams. Do Chew Proof Dog Beds Exist? The good news is that dog bed manufacturers have your back. This isn’t an uncommon problem, and you can find plenty of creative solutions to purchase. What is your short list for the bed dog bed for chewers? Let’s start with some popular chew proof beds. Chew proof dog beds will either be difficult for your dog to grasp with her teeth, or will be made of a really tough material. There are some great options and one of them could well be the best dog bed for chewers that are keen to eat their resting place! The KONG Plush Lounger Dog Bed might fit the bill! It’s comfortable and soft, yet strong. This bed is high quality, and the raised sides are reinforced to resist chewing. This one is designed to last. KONG products are known for being sturdy, and dogs love them! The K9 Ballistics TUFF Orthopedic Memory Foam Dog Bed has a moderate chew-proof rating. It will resist 90 percent of chewing dogs. It is extremely durable, and it features an orthopedic mattress that’s guaranteed not to flatten for 10 years. It also has a 90-day Chew Proof Guarantee. Orthopedic beds are often good options because they are durable, solid, and heavy. You can get another K9 Ballistics bed that’s round! It has the same chew-proof characteristics as the previous bed, and it’s a great place for your pup to curl up! The material is light, fluffy, and odor-resistant. This bed is pricey, but worth the cost if you have a dog that loves to exercise his teeth. Round beds have the added advantage of offering no corners to chew on. A chew resistant dog bed is one that quite simply resists any efforts your dog makes to chew it! The strong material will hold up again persistent gnawing, and hopefully end with your dog losing interest in trying. 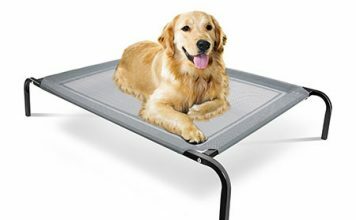 Here’s Dallas Manufacturing Co.’s 30-Inch by 40-Inch Heavy Indoor/Outdoor Pet Bed. 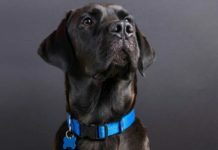 This chew-resistant option can provide lasting comfort to your pup, and has proven a match for dogs that test it with their teeth. Its waterproof qualities make it possible to use this cushion indoors and out. It might be the one! The P.L.A.Y. Pet Lifestyle and You Lounge Beds for Dogs is a very attractive option for dogs that chew! This bed is designed for chewers in mind. The material itself discourages chewing, and it’s a great product that customers love! The stuffing and zipper are non-toxic so that if your dogs do get into it, they won’t be harmed. The quality of the fabric stands up to doggie teeth well. Anti Chew Dog beds tend to be those that make it hard to chew due to their structure. The is an anti-bite bed because the shape of it makes chewing awkward. The Kuranda Dog Bed – Chewproof – Walnut PVC. Because of the material, it is meant for indoor use only. However, Kuranda makes other versions with aluminum or almond-colored frames that will work outside. All versions are of the raised design for orthopedic ease. The material is cordura, so it’s durable and provides traction. Your dog won’t be able to even get a mouth on the chewable parts due to its design. The K9 Ballistics Chew Resistant Raised Dog Bed is aluminum with durable, rip-stop ballistic fibers. You can simply hose it down when it’s time to clean it. This one is really hard to destroy because there’s literally no place to get hold of it enough to chew, so it’s great for heavy chewers. K9 Ballistics products are guaranteed to withstand a certain amount of chewing. 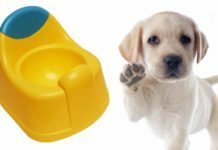 There are many reasons that the best dog bed for chewers in your home might be a waterproof one. 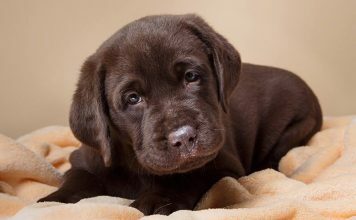 Old dogs and puppies can have incontinence problems, and dogs of any age can be drooley or get damp from time to time. 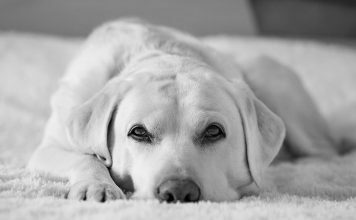 Take a look at the options below and see if the best dog bed for chewers leaps out at you! The memory foam on the Friends Forever Premium Orthopedic Dog Bed makes it a good option for well-loved animals who desire comfort! This one has bumpers for comfortable resting of the head. It has a water-proof liner, good quality foam, and is chew-proof because of quality construction and microsuede cover. It comes in different sizes and is pretty cute! Dogs love orthopedic beds. Whether they are old dogs with arthritis, or just a pup that loves a bit of luxury. Just remember, though, when choosing a support foam bed, that you get the right size! Memory foam works best when the weight of your dog sinks it in just a bit. Otherwise the bed doesn’t distribute weight properly. Small dogs won’t make much of a dent in a giant-sized bed, and the bed will be too hard for them. Here’s another great orthopedic option – The Dog’s Bed, Premium Waterproof Dog Bed. This one comes in several cute colors and different sides, and has a faux fur top with suede sides. The cover is waterproof, and the memory foam is great for joints and muscles. This is a luxurious option that resists chewing because of good, plush materials. The Orthopedic 4” Dog Crate Pad by Big Barker is a waterproof support foam pad with a tough cover. This one is cushioned and waterproof. 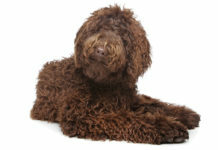 It is tear-proof and its tough construction makes it less likely that your dog will damage it. Because it’s a craft cushion, you may find it to be smaller than regular dog beds, so you may want to consider if it suits your needs. Sometimes all you need is the right cover. Then you can stuff it with whatever works for your pup, and take it off for washing. This can be an economical choice for your destructive doggie. The DIY Do It Yourself Pet Pillow 2 Covers Pack Bundle includes a waterproof shell and outer canvas cover. The material is sturdy, and the zipper is able to take a lot of abuse. You can fill it with pillows, old blankets, or whatever works. If you’re at your wit’s end, try covering something with a fleecy blanket. The 30 x 21 Inch Dog Fleece Blanket – Bone and Paw Print Assorted Color Pet Blankets by bogo Brands is a great choice. Fleece blankets work well because if torn, they don’t run. Dogs often also won’t chew them up, because there’s nothing inside. They might take them everywhere in their mouths, though. 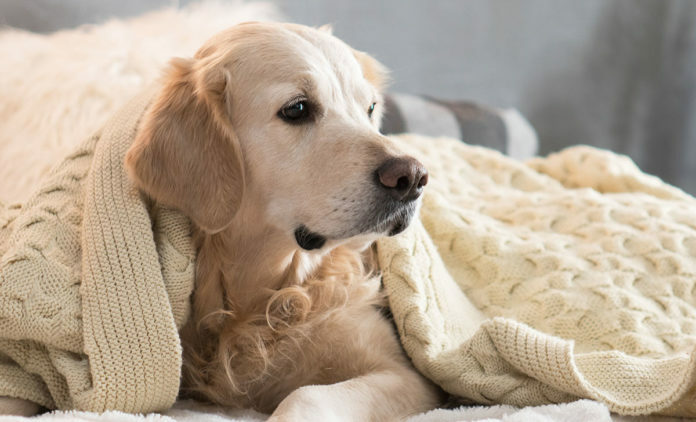 These blankets are inexpensive and can be placed on top of furniture, or on the floor, to make a soft spot for your pup anywhere. The best dog bed for chewers is one that prevents your dog from damaging his bed. You should know that there is no such thing as a truly indestructible dog bed. If your dogs are determined, they will find a way to destroy their pet beds. 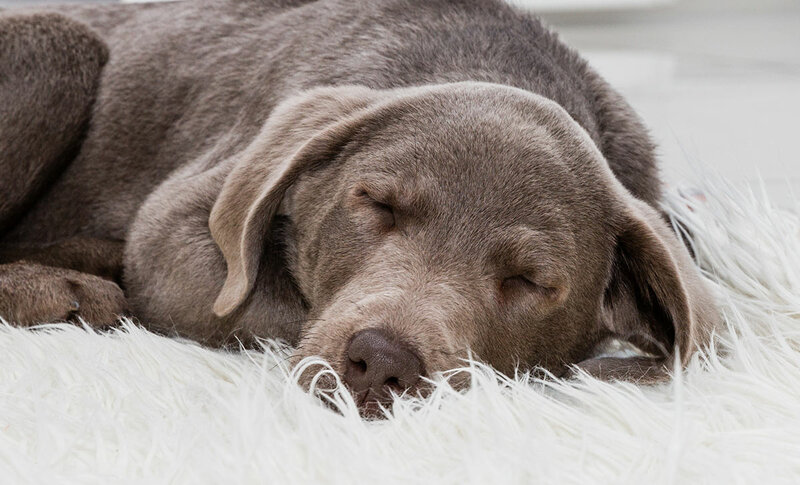 But that doesn’t mean your pet is doomed to a life of sleeping on floors – or that you’re going to have to move over on your own mattress to make room. It just means you may have to make an investment in a good quality bed. And you may have to experiment a bit to find out what works for your pup – and for you. 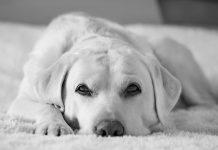 Don’t forget to look at attributes you’d also want from any other dog bed – cost, size, location, color, level of comfort, and ease of maintenance are also important. What works for your dog? Let us know in the comments! Next articleCan Dogs Eat Corn – Is It Safe To Let Your Dog Eat Corn?